Alec Dempster, Bertha Llanos, from Rostros del son jarocho (Faces of son jarocho) series, 2005. The highly skilled musicians who produce this music today, as curator Dorota Biczel explains, “don’t play music professionally…many are farmers or field workers.” Jarocho Impressions-Musical Motives from Southern Veracruz is an exhibition of work by printmaker Alec Dempster, which runs through Feb. 24. This small but meticulously researched show is built around the visual, with two series of black and white relief prints in two separate modes of working, but music is the unifying language connecting Biczel, Dempster, MECA, and the virtuosic players from Veracruz. 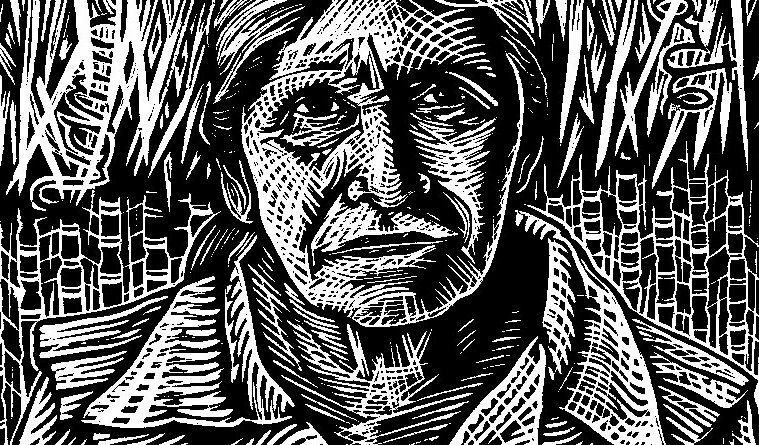 The rhythms of Dempster’s incredibly varied lines create warm portraits of the men and women for whom Son Jarocho is a cultural birthright. Printmaking is a natural fit for portraits of this ilk, “It’s a truly popular form. 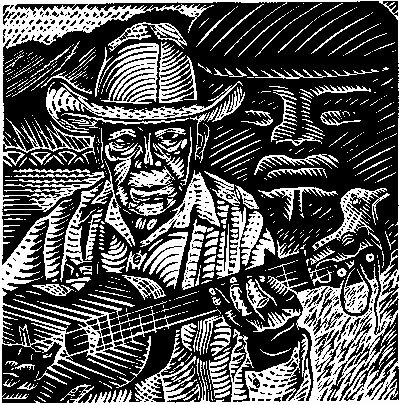 Relief printmaking is easy and portable.” The Rostros de Son Jarocho is a collection of faces, each with the distinct and confident personalities unique to seasoned performers. Some are shown with their instruments, while others smile knowingly at the viewer. A feature of son jarocho music is a kind of “poetic duel,” what we in the US might liken to a “rap battle.” The son jarocho music is, however, “a finite repertoire,” and so this kind of poetic sparring takes place within a more formalistic framework that is the traditional song. As the songs themselves incorporate surprising and improvisational moments within the tight parameters of tradition, so Dempster’s prints explore variety and unexpectedness within the visual tradition. “[Printmaking] is important to the Mexican art tradition,” Biczel states. A second series of prints, known as the Lotería Jarocho, playfully iconizes the songs themselves. These are “allegories that encapsulate or interpret individual songs,” the curator explains. 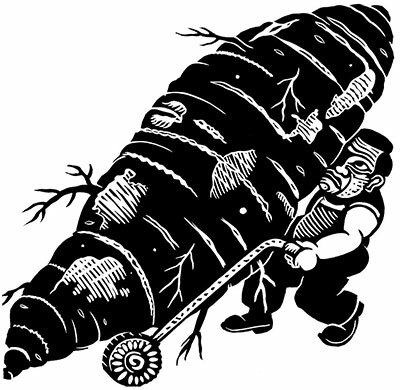 Among the figures is a stout man pushing a goliath tuber in a wheelbarrow, an angry witch with bones protruding from her flowing hair, and other fantastical imagery. 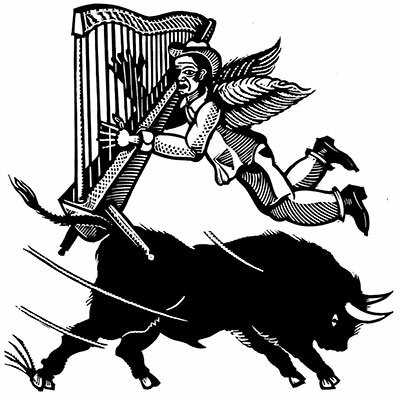 It isn’t necessary to understand the specific symbolism of each image to appreciate their firm placement within the tradition of folklore. In Houston, this conversation is especially pertinent. “Diversity” is arguably our most-bragged-about civic feature, and yet the very neighborhood in which MECA (this year celebrating its fortieth anniversary) stands bears the unmistakable fingerprints of gentrification. Grandiose stuccoed buildings monopolize lots and cast shadows over the modest bungalows of yesteryear. Institutions like MECA, involved in the preservation of cultural traditions that contribute to our city’s uniqueness, contrast with what seems to be an imbalance in Houston’s valuation of the new over the historical. “Houston’s assertion of it’s self-ness is not very strong.” Biczel mentions in a tangential conversation. It’s a subtle indictment, but it rings especially true in juxtaposition with Dempster’s exploration of Son Jarocho, a tradition that, while ever fluid and evolving, has a deep and revered past.